Although my students may have trouble believing it, there’s actually more to me than linguistics. As you might expect from a computationally-minded linguist, I’m a gigantic tech geek with a huge soft spot for free-and-open-source software. Although I spend much of my life on Mac OS X, I have a deep love for Linux, and often have a few Linux VMs at hand for fun and to run the occasional unique program. Also, although I don’t do anything interesting enough to actually warrant it, I’m a cryptography geek as well, mostly because the technology and math behind it all is fascinating, and because it’s a lot like speech (encoding and decoding meaning from chaos). I’m fluent in R, Praat script, LaTeX, HTML, Python and Bash, and can get by in MATLAB. And before you ask, emacs is my editor of choice. I do also enjoy making websites, although I only do it for myself and the causes I like. This site is now built using Markdown converted using Pandoc. 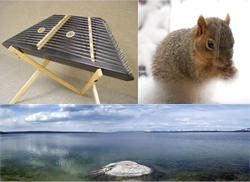 I very much enjoy playing the Hammered Dulcimer and Mountain Dulcimer, and I love the world of music. I tend to write and learn more relaxing, ambient pieces, and my favorite genres are ambient and chill-out electronica, acoustic guitar, classical, downtempo, and folk. My musical influences include Vector Lovers, Slow Dancing Society, Boards of Canada, Shpongle, The Bedsit Infamy, Jenny Owen Youngs, Charles-Valentin Alkan, Jeremy Soule, Conjure One and Sasha. I’ve taken a few years worth of music theory and voice lessons, and every day I find music nestling up more closely with my phonetic studies. 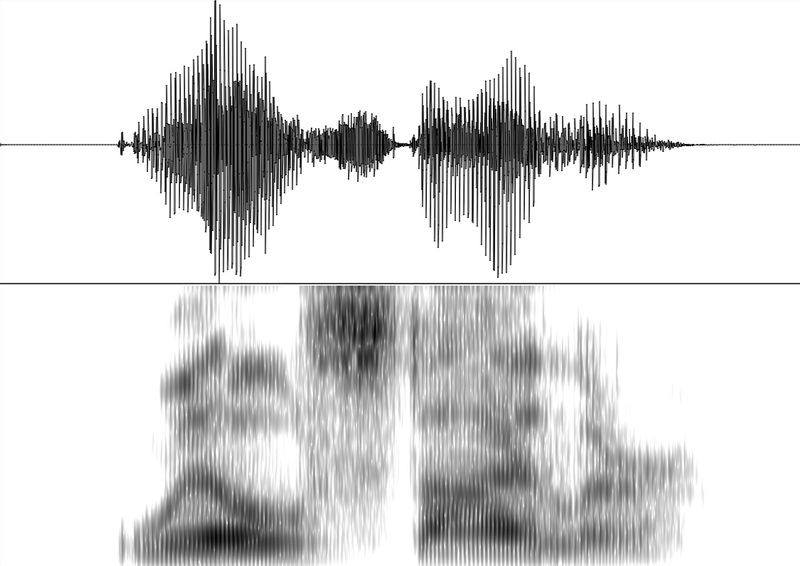 As such, I may be the only person on Earth analyzing Hammered Dulcimers using Praat phonetics software. Not really sure whether to be proud or ashamed of that, but it probably says something both about my approach to music and to phonetics. I’m absolutely a gear geek, and find masterfully made objects, whether a wristwatch, a pen, a pocketknife, or even a razor for wet-shaving, deeply satisfying to my soul. Even though it may do the same job as a little BIC pen or an $8 digital watch from the gas station, there’s a joy to owning and carrying an object that was designed with care, made with precision, and optimized for daily use. This is, of course, just a fancy way to say that yes, I probably have a pen on me and likely know the time, and I’ve almost certainly over-thought every element of it. Related, if you’re ever looking for a nice $50,000+ gift for me, the F.P. Journe Chronometre a Resonance is a pretty excellent choice for an acoustics geek. I’m the creator, writer and webmaster for the (now deactivated) language and linguistics related blog “Notes from a Linguistic Mystic” (many posts are archived here). Because of this, I’ve been considered an authority on the linguistics of LOLcats, and have been interviewed several times on the matter. Go figure. But I’ve also been mentioned on the Language Log, so I must be doing something right. I very much enjoy writing short fiction when I have time, and I’m delighted to say that one of my pieces, “In the Shadows of Hemera”, was published in the October 2009 issue of the Jupiter Science Fiction magazine. That particular issue can be hard to find, but if you’d really like to read the story, feel free to email me and I’ll happily send it along. Generally, I use my writing to explore the minds and the interactions of characters, and thus, to attempt to gain insight into the thoughts, emotions, tiny irrationalities and abject terrors that make every individual unique. When I’ve got the time, I really enjoy nature, birds, and wildlife, and photographing these things when I’ve a chance. Although landscape photogaphy is my first love, given the constraints of academic work, I’ve focused of late on backyard birding, enjoying the feathered and fuzzy creatures of suburban America, who are a source of great joy to me. Nothing like a small woodland creature to lure you away from a glowing screen, or a bunch of Prairie Dogs to brighten the walk home from the bus.